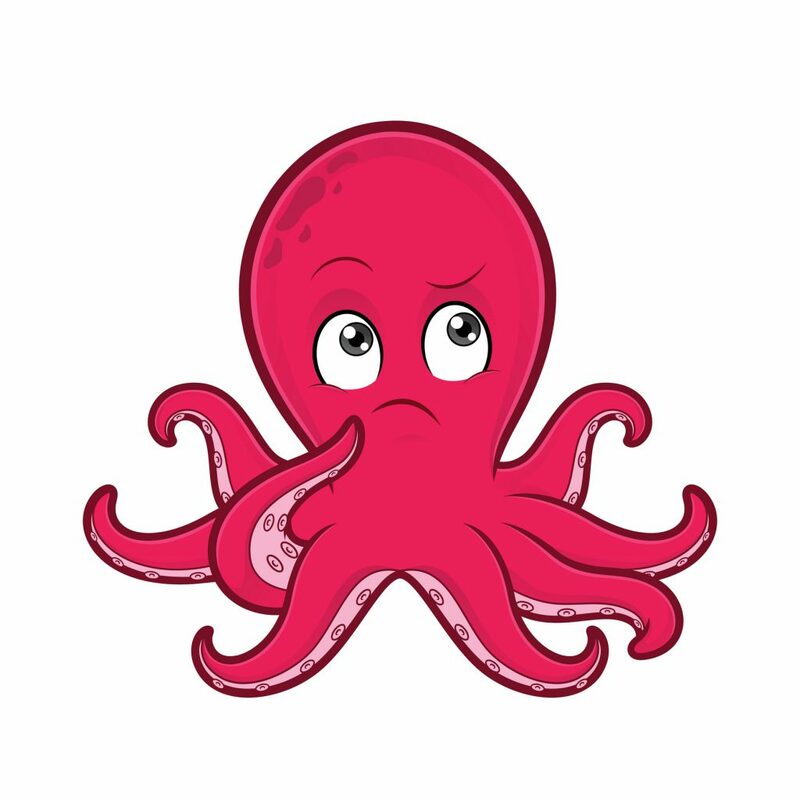 If you love science and would like the chance to win great prizes, you should enter the Science Odyssey Family Contest! 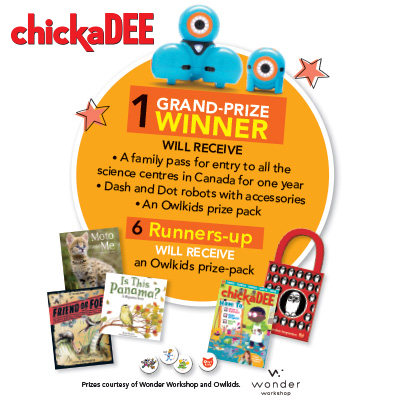 Celebrate science together for a chance to win an amazing prize pack. All you have to do is complete three scientific activities as a family from May 12 to 21. For instance, you could visit a science centre, conduct an experiment, or build a robot in your own backyard. Click here for more contest details. 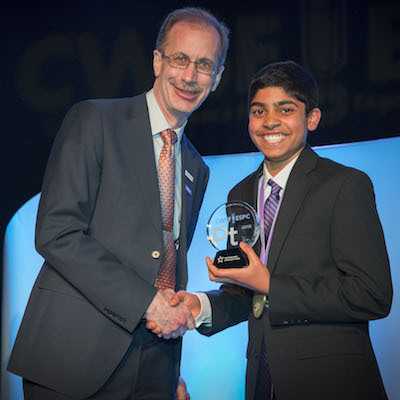 In our May issue we introduced you to Marcus Deans, one of the winners of last year’s Canada-Wide Science Fair. Say hi, Marcus! E-cigarettes: A Risk Factor for ALS? Click here to see a list of all the 2016 projects. That’s a lot of science. 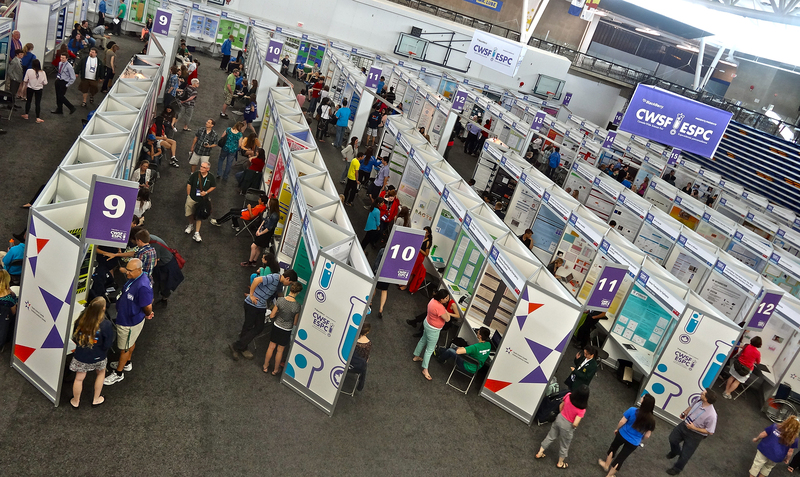 Have you ever been to a science fair, readers? Tell us all about it in the comments! chickaDEE Visits the Ontario Science Centre! 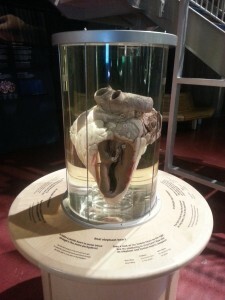 Yesterday, I saw a preview of the new permanent exhibition at the Ontario Science Centre. The exhibit, called AstraZeneca Human Edge, has more than 55 exhibits about the human body, health, fitness and nutrition. Here are some highlights from my visit! The entrance to the exhibit got me excited to see what was inside! This is a real interactive climbing wall! 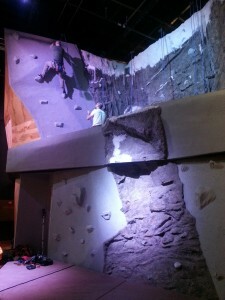 The exhibit talks about mountain climbers and what they face when they push their bodies to the limit. On the lower climbing wall, you can put yourself in the shoes of a climber and try for yourself! More experienced climbers can try the upper wall. The heart is the hardest working muscle in our bodies. It pumps blood to our toes and back in just 16 seconds. Check out this real elephant heart. It was SO big. The elephant is one of the world’s largest land mammals — just imagine how hard an elephant’s heart must work to pump blood! Interesting fact: our bodies produce a lot of snot, or mucus. In fact, this jar contains the amount of mucus a healthy body produces in ONE DAY. 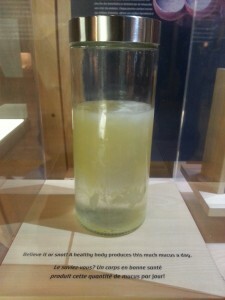 Of course, the mucus mostly stays inside our bodies, or we would need a lot of tissues! 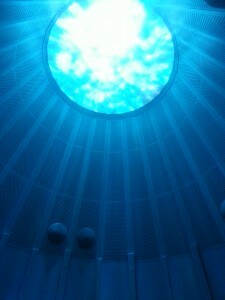 Single Breath is an exhibit that resembles a diving bell on the outside. (A diving bell transports a diver deep into the ocean). This exhibit was designed with a world-champion freediver in mind. Mandy-Rae Cruickshank Krack, who narrates this exhibit, is a freediver who broke a world record for diving 88 metres in 2 minutes and 48 seconds. And she did it all in a single breath! Here, we see what the surface of the ocean looks like from the view of a diver. Neat! 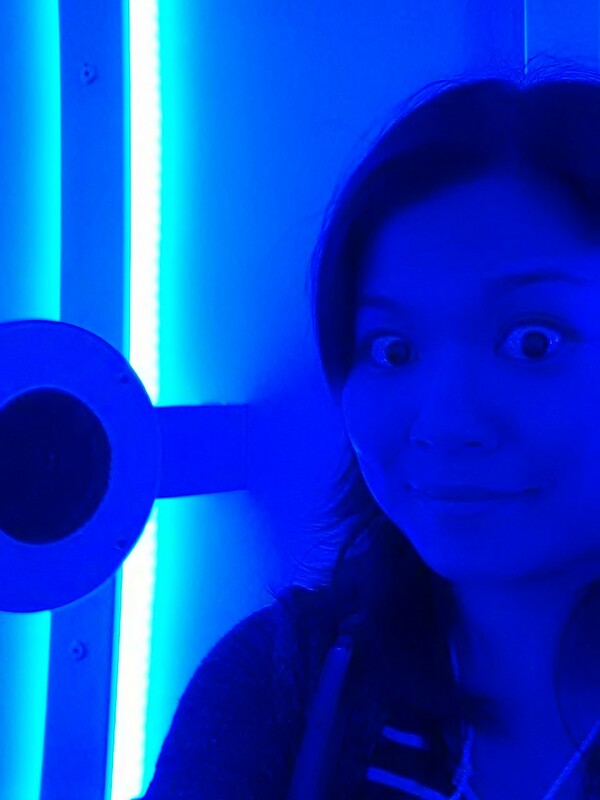 Here I am experiencing the exhibit. I found it pretty exciting and spectacular to listen to Mandy-Rae narrate the dive and experience what she saw and felt during the whole 2 minutes and 48 seconds. I felt like I was there! 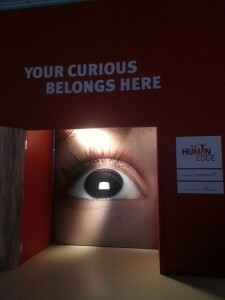 The AstraZeneca Human Edge exhibit opens Saturday, December 7. If you live in the Toronto area or plan on visiting, you should definitely check it out! You can get more details about the Ontario Science Centre by clicking HERE. Let me know what you think of this exhibit by leaving a comment below!